This one's for Flora, Thank-you! Wonderful drawing. Hope the Tiger balm is helping! 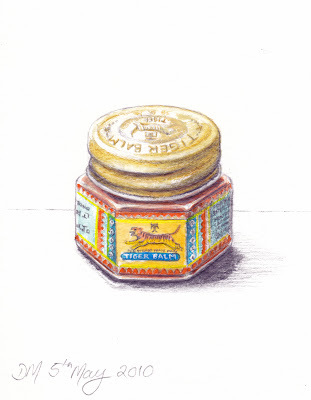 Great stuff tiger balm - and a lovely drawing too. Tiger Balm!!!! Hahahaha, one of the magical stuff that comes from Singapore. I really need some of these for my wrist -_- pssstt...don't tell anyone that it's still bad. Love the art work!